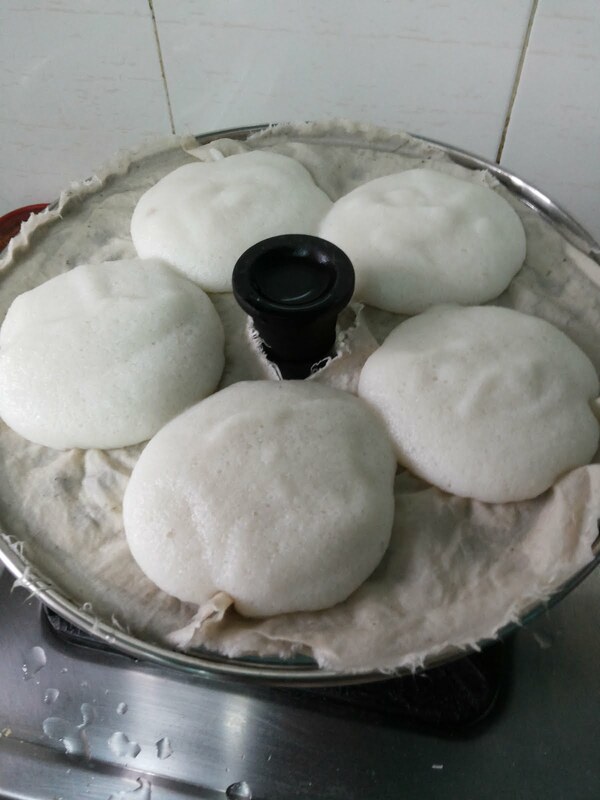 There are many versions of biryani - Hyderabad biryani, Ambur biryani, Dindugal biryani, Thalapakatti biryani, Mughal biryani and many more. I do not remember my mother making biryani at our home till I was in my high school. 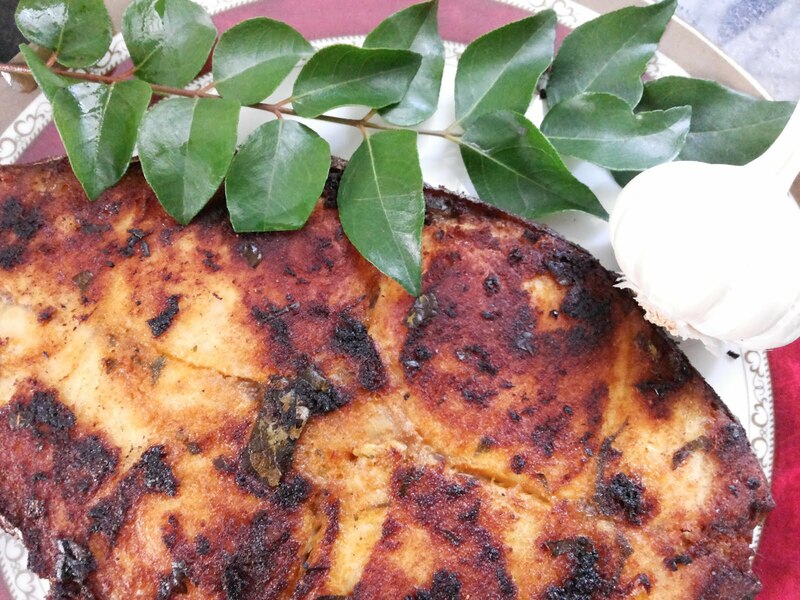 It used to be chicken kuzhambu/varuval or mutton kuzhambu/varuval or fish kuzhambu/varuval on Sundays. biryani was very rare dish which we get to eat only in parties. It was not common to see people in our circle make biryani at home too. Then slowly people started making biryani at home. My mother too gradually started trying it at our home. It came out good. But still, the flavour of the biryani, texture of the rice, spice combinations of the biryani, the non-stickiness of the outside biryani.. was missing in our biryani. 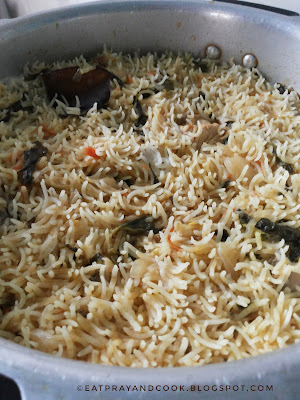 So we had to do many trial and error methods to bring up a perfect recipe for a simple biryani at home. 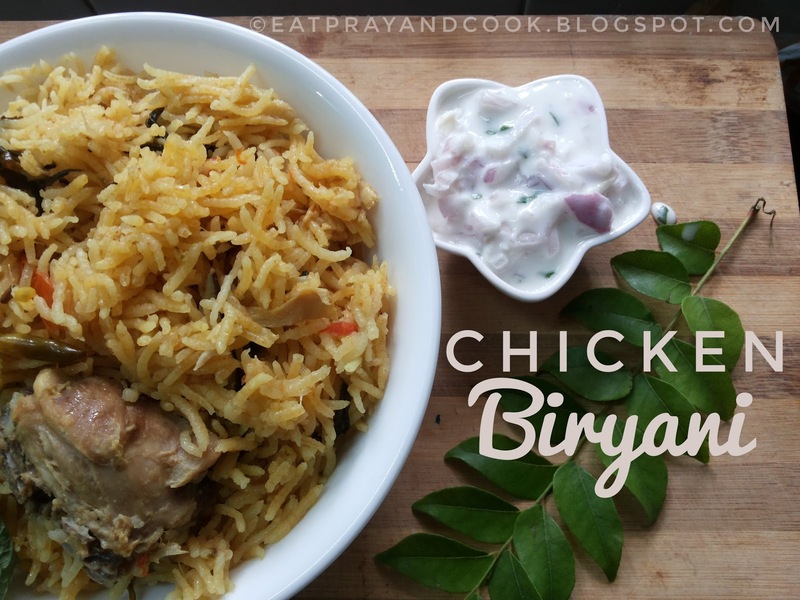 Now we have an simply superb recipe for chicken biryani. Even though there are many versions of biryani like Hyderabad biryani, Ambur biryani, Dindugal biryani, Thalapakatti biryani, Mughal biryani etc., this we would like to call it as Madras or Home style chicken biryani. 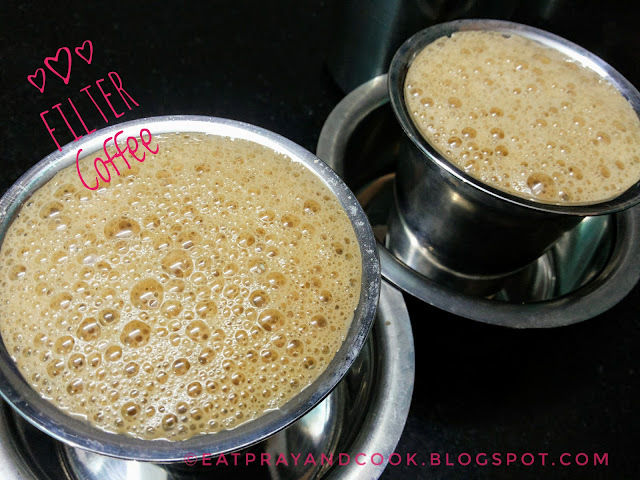 This is a pressure cooker method recipe. With well balanced combination of spices, fine quality of basmathi rice, proper rice:chicken:water ratio, fresh ingredients, aromatic herbs/condiments and above all irresistible desire to eat a good home made biryani - these are the requirements for an excellent Madras / home style chicken biryani. 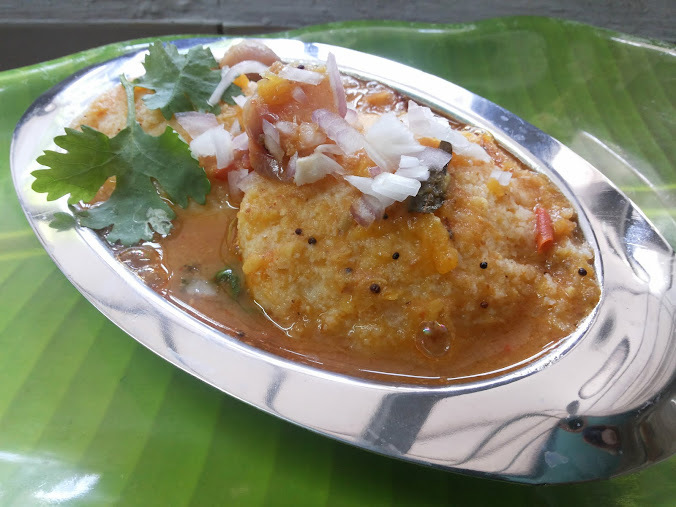 We have tried biryani in almost all the hotels in Chennai which are famous for biryani. 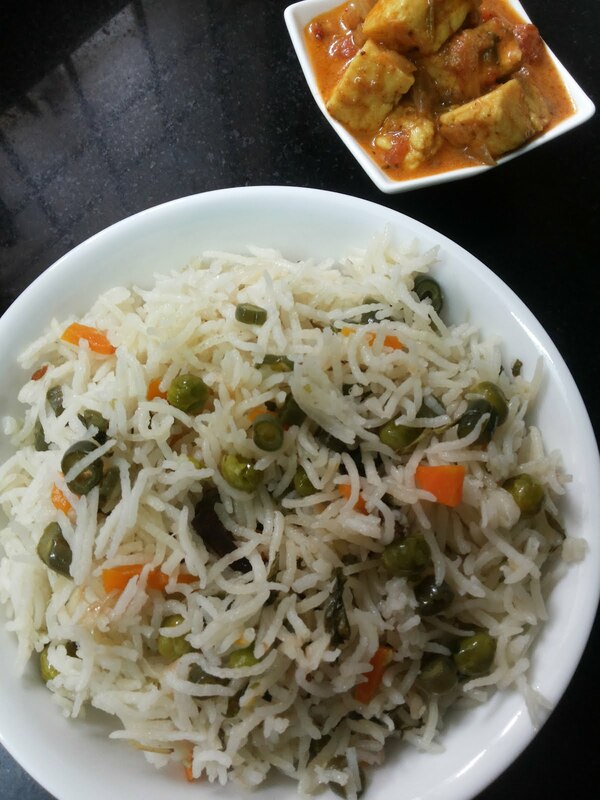 I will not say that my biryani is better than these, but still my husband always encourage me to make biryani at home. i too, most of the while, prefer to eat at home as we can eat in our own comfortable casual wear.. can eat without a feeling that you might be watched while eating😁. Another reason to prefer homemade biryani after you are 30, is that you will never feel guilty after filling yourself with homemade biryani. Whereas, if we eat biryani in some hotel (however famous it is for biryani), you will never be hungry till the next day and also get a feeling "why did I ever eat that biryani..". Home made biryani is not too heavy for your system to digest but this hotel biryani will resist to be digested till the next day. Isn't that to be amazed that you can bring together different flavours and tastes from corners of nature into a single pot and you end up in one awesome dish called biryani! 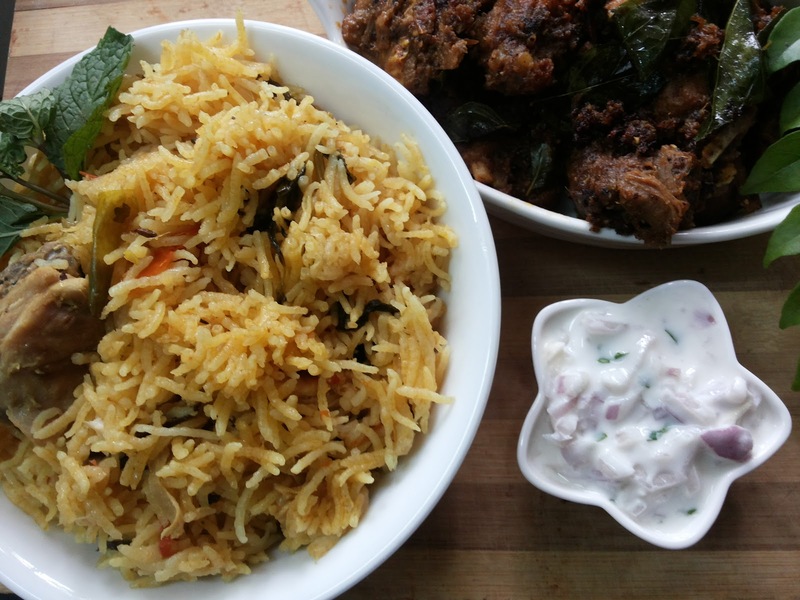 Today I made simple Madras style chicken biryani and mutton sukka. 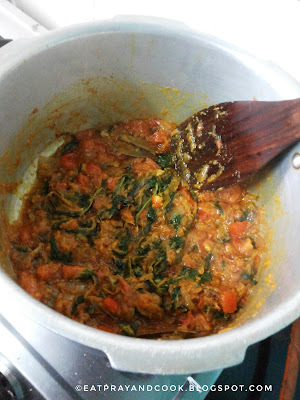 For the recipe for mutton sukka. 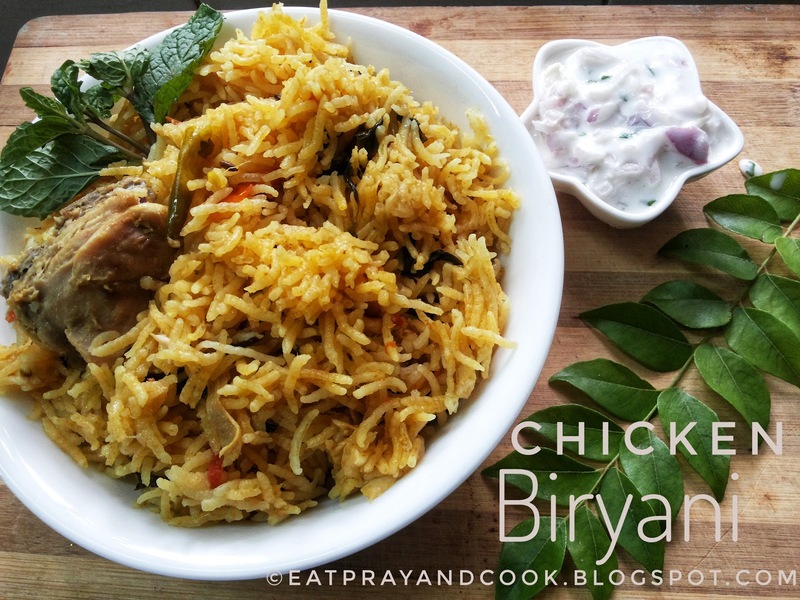 Here is a simple and basic recipe for chicken biryani - home / Madras style. wash and keep the chicken pieces in fridge ready. 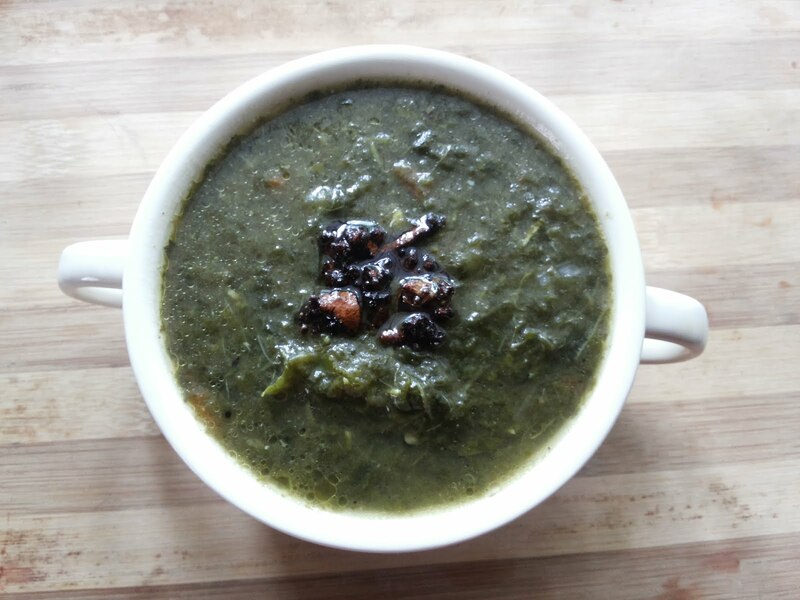 wash the basmathi rice just once (to avoid complete loss of the basmathi rice flavour) and soak it with 2 cups water. clean, crush - ginger garlic, cut the other vegetables and keep ready. keep the pressure cooker on stove and add the oil and heat. 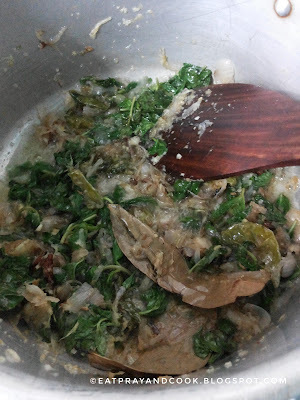 add the whole spices - cardamom, cinnamon, cloves, fennel seeds, lichens and bay leaves. let the flavours of the spices be released. add the slit green chillies. after few seconds add the crushed ginger-garlic. add little salt and saute well till the onions are brown. add the tomato. mix well. 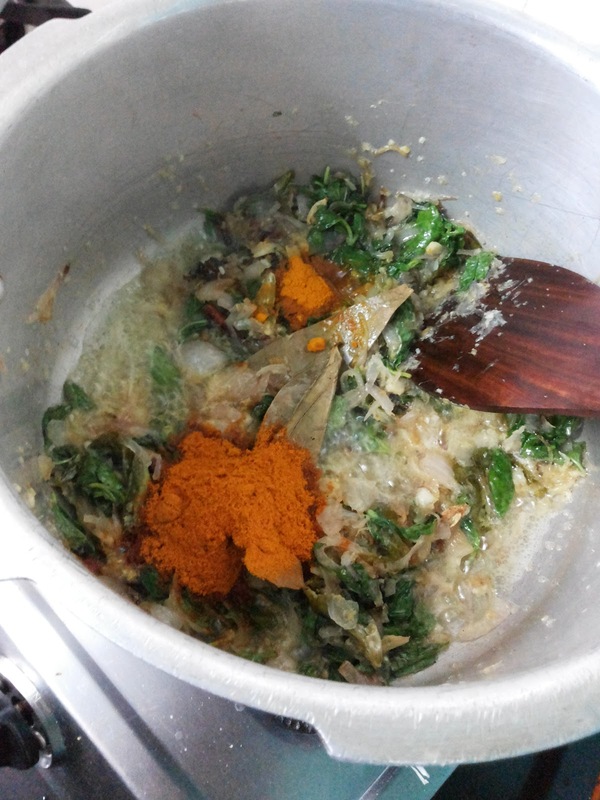 add the spice powders - chilli powder, coriander powder, turmeric powder. continue sauteing till the oil separates. now add the mint and coriander leaves. saute. add the chicken pieces and continue sauteing. now add the soaked rice and stir gently. now for the time to add the water. 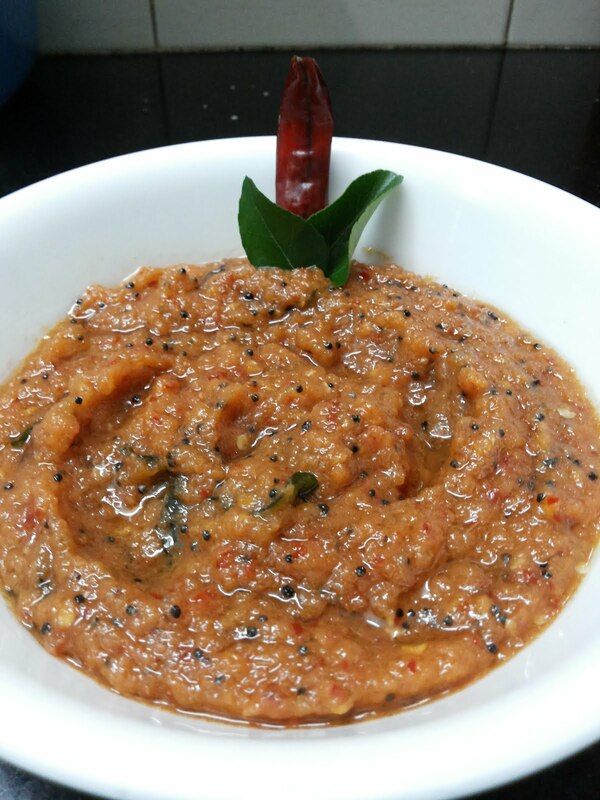 see how much of moisture is already there in the masala (from the onion tomato and chicken) and reduce it from the water you are going to add. 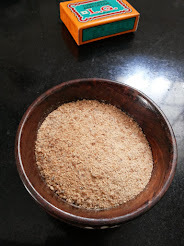 if you are not exactly sure how much water is already there in the masala and not sure how much water to add now, you always be on the lesser-water side as the rice will get cooked in less water i.e., "dum" too. 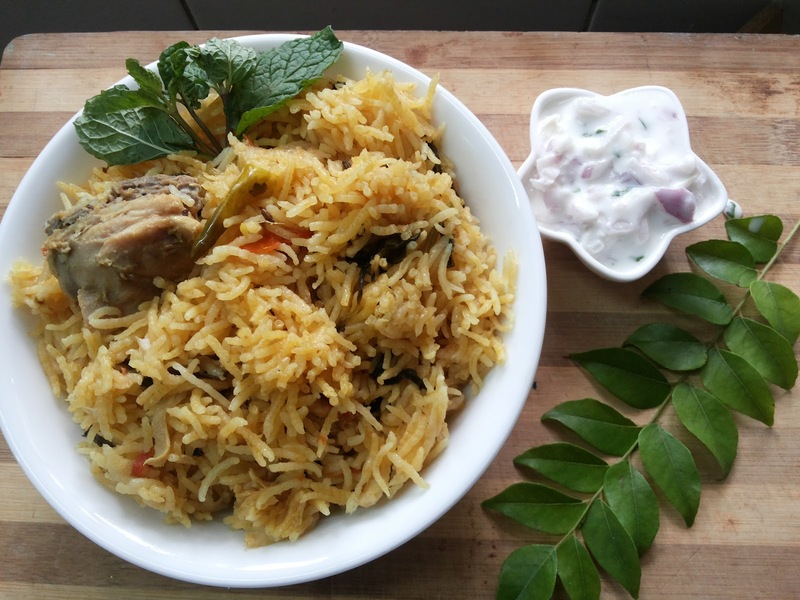 but adding excess water will make biryani mushy and therefore all the best flavours of the biryani will be diluted. let the rice and the water come to a boil. once it starts to boil well cover the cooker and leave it for the pressure to be released. once the pressure is released through the nozzle, reduce he stove to low and leave it for another 10 minutes. (need NOT put the weight on the cooker). after 10 minutes, remove the cooker from the stove and keep aside for another 10 minutes. 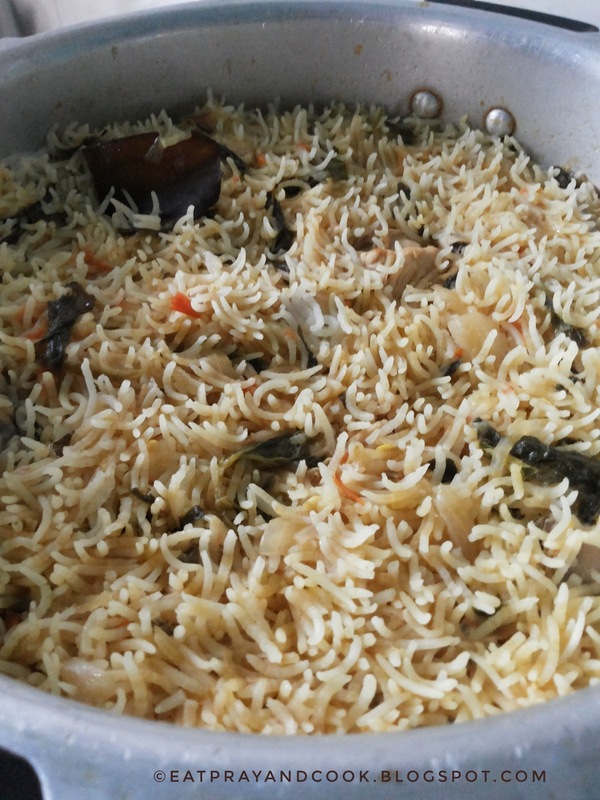 open the cooker to see an flavourful and aperitive biryani.. 100% home made.. you-made.. no artificial flavours or colours.. easily digestible.. no guilt.. with lots of love and anticipation. After doing the final rinsing of chicken pieces, add salt and turmeric powder, mix it up and keep aside or in fridge. Later, rinse them with plain tap water before adding it to the masala. 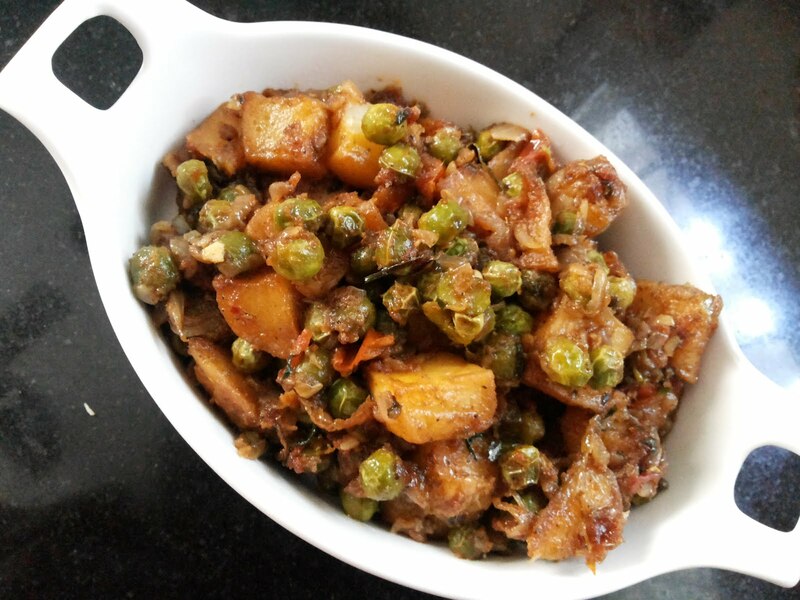 Use crushed ginger-garlic than ginger-garlic paste as when you add paste, the masala gets stuck at the bottom of the cooker. 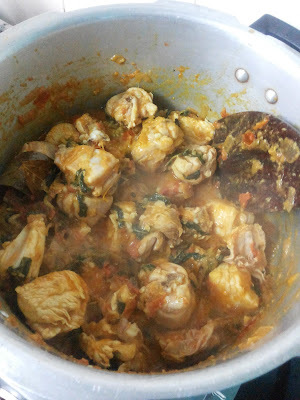 Whereas while you use crushed ginger-garlic, the masala or the biryani never stick that much to the bottom of cooker. 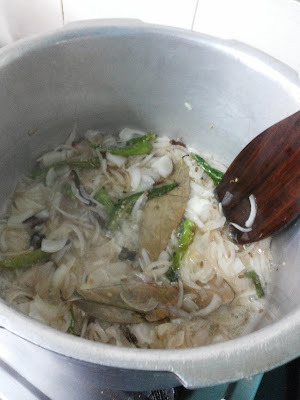 A simple onion/cucumber raitha will be very good with this biryani. 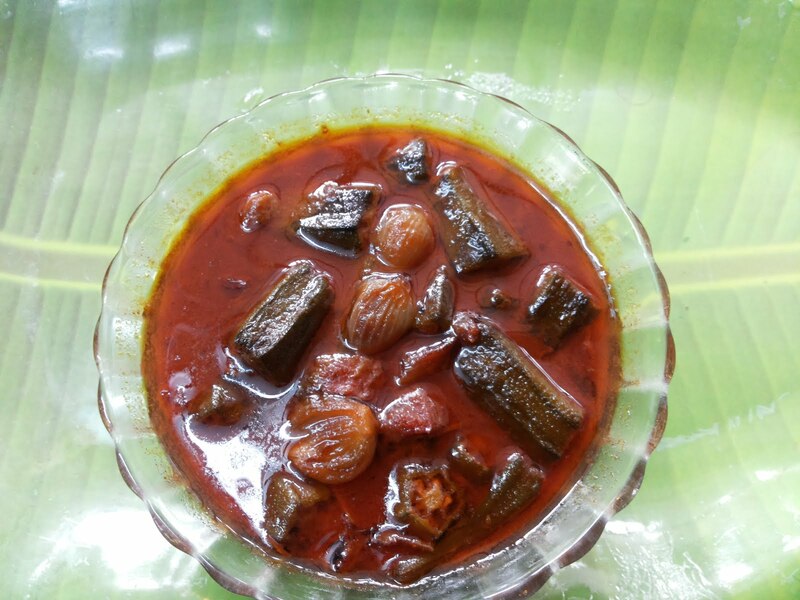 If you are happier, and wish to surprise your family, then go ahead and make the south Indian brinjal side or for the biryani. 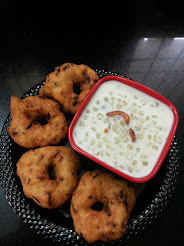 We generally do not have anything else with biryani except the onion raitha. 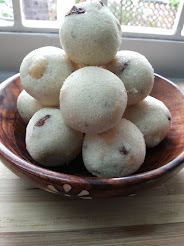 Make this on a Sunday or a weekday-birthday to make it special. Black and White - Very Colourful !